Need More Speed? Of Course! FatPipe is the easy way to add bandwidth, without complexity. Of all of the scalability problems we face in networking, it seems that bandwidth is usually at the top of the list. Many companies have a T1 line (1.544 Mbps) going to the Internet. But these days, that line is usually saturated through the business day. Now there’s a device to help you overcome the limitations of a single line and give your users the throughput they want. I recently got to spend some time with the FatPipe Xtreme. Xtreme is targeted toward the average company needing more speed on the Internet. It sits between your LAN and up to three Internet routers. Xtreme combines these lines into a single, virtual connection with speeds of up to 50Mbps! You can use ISDN, ADSL, fractional and full T1s and T3s, and probably just about anything else. In case 50Mbps isn’t enough for you, the FatPipe Warp can go up to 135 Mbps (for those of you with three T3s). The setup is very straightforward. Unpack the box, bolt the server into a standard rack, and find a UPS port for the power. Next, patch all of your Internet routers’ Ethernet ports into the WAN ports on Xtreme and plug the LAN port into your internal network. Once the unit is powered up, you’ll need to go to a PC and reconfigure its IP address to the same subnet as Xtreme (192.168.0.1). This will let you access the Web-based console, where you’ll be able to assign an appropriate IP address for your LAN and specify users who will be able to manage Xtreme. After a reboot, you’ll be able to use a Web browser from any PC on your network for further configuration and monitoring of the circuits. Next, you’ll want to configure the addressing on the WAN links and bring up the circuits. Your configuration might be as simple as a cable modem with outbound traffic only and DHCP-assigned addresses or very complicated with multiple circuits having inbound traffic, redundant Xtreme servers, VPN tunnels, Web and mail servers with address translation, cache servers, and even internal printer mapping for your ASP’s Citrix servers. FatPipe’s setup instructions illustrate several alternatives, including common VPN and firewall configurations. If you have any questions about these examples or if you need assistance with a custom configuration, the company’s tech support is helpful and knowledgeable. 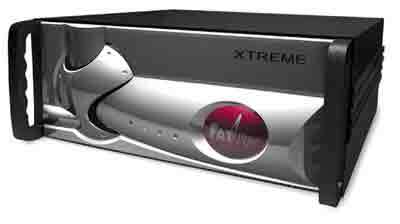 If you simply don’t want to get deeply involved with this technology or don’t feel comfortable with configuring Xtreme, you can send your router and circuit information to FatPipe and it can pre-configure your server. All you need to do is plug in the cables. The FatPipe server sits between your LAN and your routers, combining several Internet connections into one. I enjoyed the chance to check out Xtreme and had a lot of fun playing with its configuration menus and watching the graphic displays. I, personally, have accounts for whom I think this will be the perfect solution, giving a huge increase in bandwidth without putting the customers through a painful “hot cut” to a bigger circuit. It also gives you several options for using different media types, like cable or wireless, to bypass the local telephone company and maximize your uptime. The verdict? I love it! FatPipe Xtreme provides a reasonable option for the average company that needs more bandwidth without requiring huge trunks, huge routers or a BGP implementation. Thomas Jorgensen, MCSE, CCNP, CCDP, FNCNE, CCA, is a WAN Engineer for Netcom Group in Grand Rapids, Michigan. When he’s not building networks, he can be found at the coffee shop reading a book and drinking too much Sumatra.